Below you can view all the homes for sale in the Somerset subdivision located in Marietta Georgia. 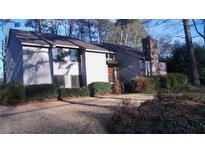 Listings in Somerset are updated daily from data we receive from the Atlanta multiple listing service. To learn more about any of these homes or to receive custom notifications when a new property is listed for sale in Somerset, give us a call at 404-998-4102. Sleek Slate Tiled Master Bath, Generous Secondary Bedrooms And An Exciting Finished Terrace Level With Media Room, Recreation Area And To Die For Authentic Cheers Style Bar! MLS#6534078. Berkshire Hathaway Homeservices Georgia Properties. To Top It Off, This Home Comes With A New Ac Unit. MLS#6530213. Keller Williams Realty Intown Atl. Somerset Is Active Swim And Tennis Community. Come Visit Today! MLS#6525841. Keller Williams Realty Atl North. In Somerset Community W/Award Winning Sope Creek Elementary & Wheeler Magnet High School District. MLS#6523711. Berkshire Hathaway Homeservices Georgia Properties. Level Bckyrd Fenced 3 Sides,New Roof MLS#6518600. Keller Williams Realty Atl North.